Dr. (Col) V. K. Kapoor is an Ex Prof. (Urology), AFMC, Pune. He has 52 years of experience as a General Surgeon & Urologist in the Armed Forces and corporate sectors. 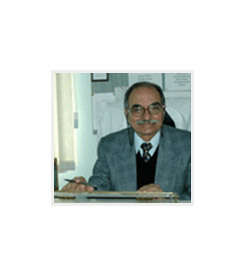 His Total experience is 52 years as Surgeon / Urologist. He has served in the Army Medical Corps for 32 years in various large hospitals of the Indian Army as a Surgeon/ Urologist. He took active part in 1965 Indo- Pakistan War and 1971 Indo-Bangladesh War. He received the Chief’s Commendation card for services towards patients.